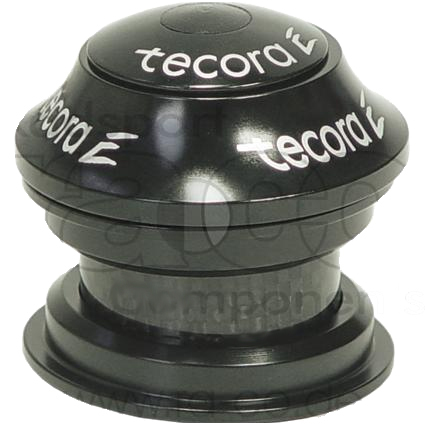 Tecora E Semi Integrated 1 1/8"
Black anodised aluminium semi integrated headset for 1 1/8" steerers. 30 mm crown race seat diameter. Cane Creek fit, 36&deg; x 45&deg;. Press in cups with sealed cartridge bearings. Supplied with star nut for aluminium or steel steerers and black top cap.